Time (and tiredness) often get in the way, but if you’re anything like me then you read as much as you can – newspaper articles, online blogs, magazine pieces or a bit of a novel when you can – and occasionally something really jumps off the page at you and sticks in your head. Recently, ‘The Kindness Quotient’ – an article about New Zealand Prime Minister Jacinda Ardern did just that. At a time when everything and everyone seems so polarised, when scaremongering is at an all-time high and the feel-good factor is probably at a low, and when strong-man populist political leaders seem to be the in-thing – reading about a head of state who consciously and unashamedly runs on a platform of kindness hit me like a brick wal…actually no – like a really good hug. 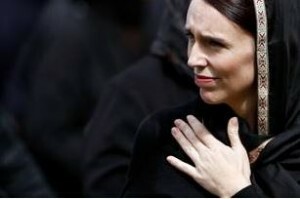 In the aftermath of the recent terrorist attack in New Zealand her profile went far more global and she was highly praised for her reaction of compassion and outreach on the human side and channelling her anger at stricter gun laws on the policy side. But interestingly this article – penned by Helen Clark, another former female New Zealand PM – was written before that happened. There seems a legitimacy to this. In September last year she addressed the UN General Assembly calling for ‘kindness and collectivism’ as an alternative to isolationism, protectionism and racism. Mark Cuban is a billionaire-businessman from the States but, much like Mrs Ardern, was someone I knew the name of but not much detail about. Among other things he owns the Dallas Mavericks NBA team and is a mainstay on Shark Tank – the US version of Dragon’s Den. On paper he and Jacinda Ardern are polar opposites; one a principled ‘do-gooding’ female politician and the other a poster-boy for what the ultra-capitalist ruthless ‘shark’ male businessman is supposed to be…but surprisingly, both leaders in their fields share a simple but defining principle; openly extoling the virtue of kindness. An article I read on Cuban included a revealing quote; “one of the most underrated skills in business right now is being nice. Nice sells.” He talks about how far-removed he was from that approach when he started out and how “I wouldn’t have wanted to do business with me when I was in in my 20s”. Cuban seems the sort of guy who spouts ‘inspiring’ business-related quotes all the time and is certainly one of those social-media and tv-friendly entrepreneurs who thrive off being followed, quoted and photographed. However, again, that particular quote is not just relevant and timely at the moment, but there seems some legitimacy to it. Cuban is a billionaire and his current ventures and rise up the ladder clearly did and do require a level of bloody-mindedness and brute force, but he has also clearly taken his own advice on board. He rubbishes that age-old adage of ‘don’t take no for an answer’ as, according to him, “every no gets me closer to a yes”. Communicating with people and understanding the reasons behind each rejection allowed him to evolve and get that all important ‘yes’ next time. That approach – more mature and measured than the cursing, angry ‘bam, bam, bam’ style of that guy in his 20s – has been hugely successful and is fundamentally rooted in ‘niceness’. The importance of EQ as well as IQ. The parallels between business and politics may not be quite as neat and perfect as articles like this would like to suggest – but the similarities are interesting. I genuinely think the vast majority of politicians want to do good and make their local area, country or world a better place. However, while it looks good for every politician to lay out things like climate change, the refugee crisis and reducing child poverty as priorities – it is of course the doing that matters. Just months into her term Jacinda Ardern effectively stopped all oil & gas exploration in domestic waters, she then offered New Zealand as a home to refugees stranded in camps on Papua New Guinea, and one of her first initiatives was a tax package which is forecast to reduce child poverty by around 40% over the next 3 years. There are a fair few routes to success in both fields but, though for slightly different reasons, both Cuban and Ardern have rooted their approaches in a high-regard for human compassion, kindness and understanding. EQ as well as IQ. Now, neither are perfect and I’m the first to admit I’m not exactly qualified to write their biographies just yet – but with all that’s going on in the world doesn’t it feel good to know that those in high-places take that view? It’s….um, what’s the name of that feeling?….nice!